Stunning and a very popular necklace. 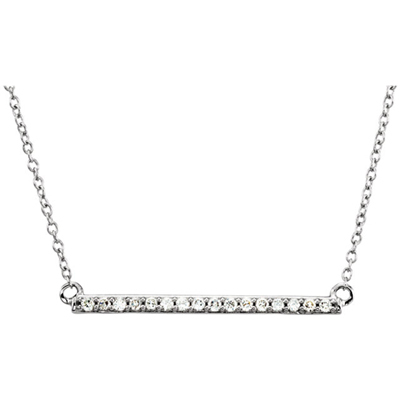 This 14k white gold bar necklace is very thin and feminine and loaded with tiny little diamonds.Bar measures 1.7mm x 26mm and comes with an 18 inch cable chain. Diamond carat totals 0.17 carats. 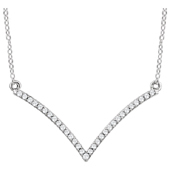 We guarantee our 1 Inch 14K White Gold Diamond Bar Necklace to be high quality, authentic jewelry, as described above.